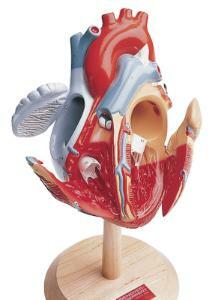 Three easy-access flaps flip open for internal study of the heart. The chambers and valves are accurately reproduced to scale. The flexible chordae tendineae and cusps make it easy to see demonstrations of valve action. 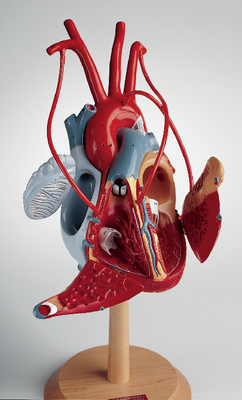 The heart-with-bypass model has detachable bypass vessels to demonstrate single, double, triple, LIMA, and bilateral IMA coronary bypasses. 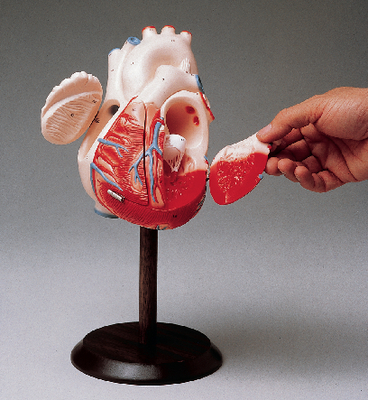 Detaching all the vessels reveals a normal, healthy heart.